645. Congress wins Elections by Duckworth Lewis method. Finally the Rs 10000 crores spent by BJP has paid good results. The Sensex really looks sensual now. India shining indeed. Captain Vijayganth can now go back and continue drinking. 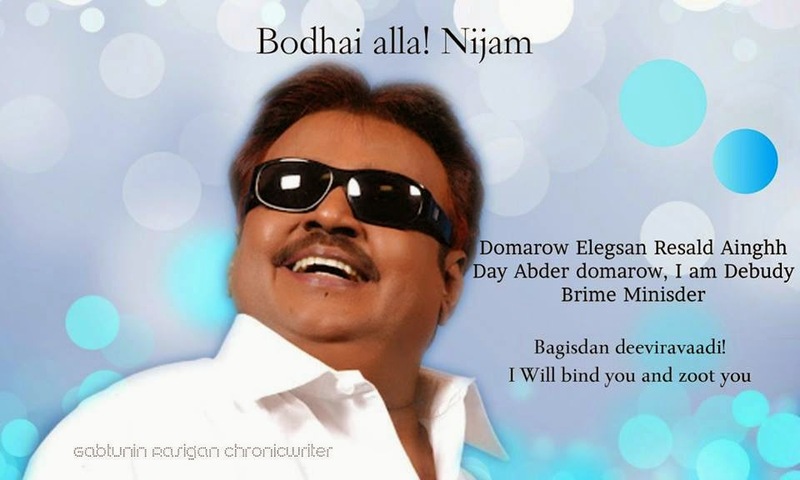 He can also act in Ramana 2. His dreams of becoming the deputy Prime Minister is whacked big time. 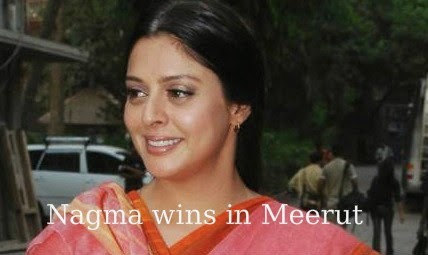 Sister Nagma who is also a Prophetess has won for Congress in Meerut. Two people will be really happy for this result. One is Ganguly and the other is Mohan C Lazaras. Mohan C Lazaras can now form a prayer team in Political fraternity. Did you guys believe that? She ain't gonna win. Facepalm for you all. There is no use for TamilNadu in this election. Sources are telling that Rahul Gandhi is praying for rains so that Congress can win by Duckworth and Lewis method. 132 people voted for Rakhi Sawant in this election. If Sonia and Rahul Gandhi wins, they will be ragged big time in the Lok Sabha. It will be a sorry state of affair to see a mother and son being ragged together in the same house by more than 300 people.